Aleix Espargaró has expressed his discontent at seemingly being left out in the cold by his Suzuki MotoGP team, after they signed new rider Andrea Iannone before even opening negotiations with the Spaniard. Speaking this afternoon following the announcement about Iannone this morning at his home round in Mugello, Espargaró was quick to hit out at a perceived lack of respect from the team. “I’m a little bit sad, because I thought I was a little bit more valuable to Suzuki. I feel that I deserved a little more respect – but things are like they are. Suzuki did a really great job taking Iannone after Maverick left; he is one of the top riders left in the market. “But we haven’t started to talk yet, and I expected something different. I hear Zarco, I hear Rins, and I don’t know what it means. All I can do now is to be competitive on the track, and in the last three races I have been top six. 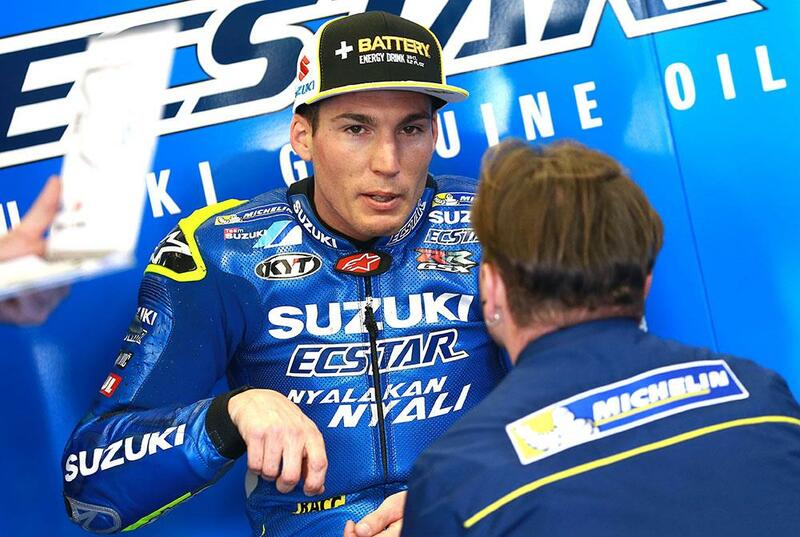 There has been many rumours about the fate of the second seat at Suzuki, but with Suzuki boss Davide Brivo admitting that not only does Zarco have an option with Suzuki for next year, but that they also cannot foresee running a satellite bike. The manufacturer has been linked with LCR in recent weeks – and with a new clause in the manufacturers’ contracts for next year insisting that they must supply satellite bikes if required, it may be a decision out of Suzuki’s hands.